"How do I turn off Windows 8.1 password?" For the question of how to turn off Windows 8.1 password, you may consider the two different situations: turn off forgotten Windows 8.1 password and turn off Windows 8.1 remembered password. 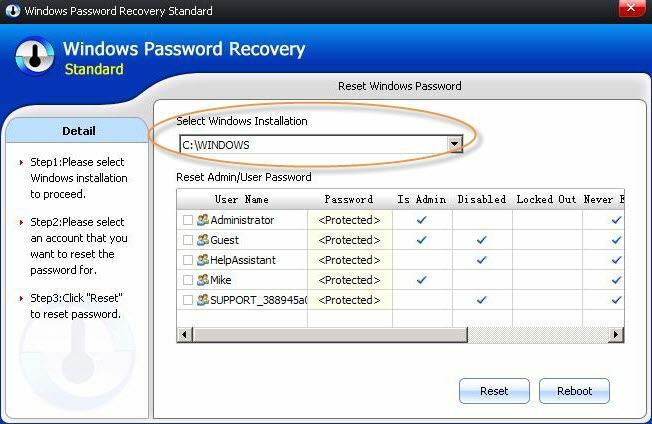 If you have forgotten or lost your login password with no clues, just go for Windows Password Recovery to fix the tough issue. If you are sick of entering the password every time you log on your Windows 8.1 computer, just turn off Windows 8.1 password login function. Both of the solutions will be introduced in this article. Check them now. Situation 1: How to Turn off Forgotten Windows 8.1 Password? Situation 2: How to Turn off Windows 8.1 Password You Remember? Encountering the situation of losing Windows 8.1 password? 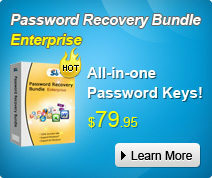 Without any doubt, Windows Password Recovery is the smartest and most professional solution. With its help, you are allowed to turn off Windows 8.1 administrator password and other standard user account password with only several clicks. Go through the overall steps below to crack the forgotten password. Step 1. 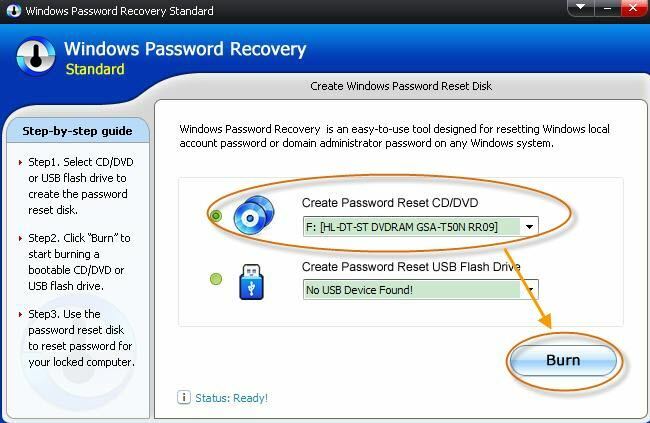 Free download Windows Password Recovery on a workable Windows PC. Step 2. Burn an ISO file of Windows Password Recovery on a blank CD/DVD. Step 3. Insert the burned CD/DVD into your locked Windows 8.1 computer. Ready to set BIOS to boot from the media. Step 4. Specify the account password you want to turn off. Click "Reset". Maybe you'd like to remove the password protection your Windows 8.1 PC since you reallyy have confidence in its security. Just walk through the following steps on how to turn off Windows 8.1 password at startup. Note: You must be signed in as an administrator to be able to do this option. Step 1. Open the Control Panel, and click/tap on the User Accounts icon. Step 2. Click/tap on the Manage another account link. Step 3. Click/tap on the user account you want to turn off the password for. Step 4. Click/tap on the Change the password link. Step 5. Leave all password and password hint fields empty. And then click/tap on Change password. Then, you have finished the process of turning off password protection for Windows 8.1. No matter which situation are you in, you can handle this with no pressure. Just remember that if you lost the login Windows 8.1 password, get Windows Password Recovery to turn off your Windows 8.1 login password.